This week's featured angel is the elegant dancer, Theresa! Her backstop is a Piercing Gale or — when absolutely no one will tow the party line — her Divine Arma, Dragonbane! 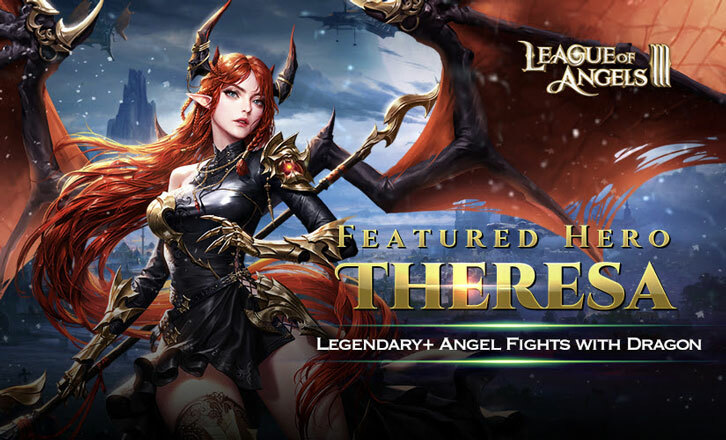 While many players may not agree, League of Angels III aficionados will know that Theresa is indeed a hero. Which is why the game is putting on a special event in her honour. Of course, we’re not talking about the embattled UK Prime Minister, but the flame-haired hybrid child of Prime Angel and Dragon King Ulysses.